Hot Deal! Get an LG BD640 Blu-ray Disc Player for $89.99 at Buy.com, a $210 Savings! Take $25 Off $100 All Tommy Hilfiger at Macys.com! Get 2 Days in the park for free when you purchase a 5-Day or longer Magic Your Way Ticket on Priceline. Buy a 5-day ticket and pay for only 3 days. Buy a 7-day ticket but pay for only 5 days. Buy a 10 day ticket but pay for only 8 days. Talk about savings! Restrictions apply. 15% Off Dog Apparel & Accessories for Dogs PLUS 5.4% Cash Back! Shop 90+ Point Rated Wines Under $20! Discounts from Groupon Earn up to 3.0% Cash Back! Discounts from Walgreens Earn up to 2.1% Cash Back! Savings at Vitalicious Earn up to 3.0% Cash Back! Pay $15 for $30 to spend on merchandise from PersonalCreations.com. 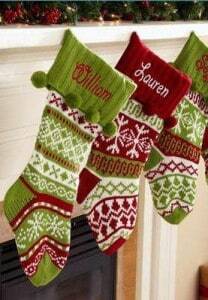 This online shop offers a sleigh-full of personalized items with any name on your list. Stock up on holiday decorations and stocking stuffers like customized ceramics, etched glasses, and plush ornaments; seasonal family-name doormats; and personalized coffee mugs, wine glasses, and pepper mills.